Kitzbühel has some 59 pistes and a further 10 marked itinerary routes across 170km of mountain, linked by 53 cable cars and lifts. If you ski well, Kitzbühel is close to unbeatable, you can spend all day on its slopes and not use the same lift or ski on the same run twice. Kitzbuhel is home to one of the first ski safaris, thanks to the 3S Cable Car which links Kitzbuhel’s main ski area, skiers travel 15 km by lift and descend 35 km of pistes between Kitzbühel and Pass Thurn. The Kitzbühel Ski Safari is marked by round signs, with an elephant on skis pointing the way. Start early, The Safari takes a full day. Kitzbuhel’s main ski area runs from Pass Thurn, along a ridge strung with the villages of Aurach and Jochberg in the valley below, linking, via the 3S Cable Car, to the Pengelstein over looking Aschau and Kirchberg to the east. The Ki-West Gondola in Aschau, in the Kirchberg Valley links, the Kitzbuhel ski area with Westendorf in the Ski Welt, which boasts 279km of pistes. There is more skiing on the opposite side of each valley. To the southwest there is the Kitzbüheler Horn that has become a snowboarders mountain. To the east, on the other side of Kirchberg, is the Gaisberg area with its new quad-chairlift. Real experts can always find good skiing just off the marked trails. Some of the best placess are beyond the Pengelstein Peak where the Hochsauerkaser Piste (55), drops to the west and the Schwarzkogel (56) runs to the east, both offer great off-piste possibilities at any point for an expert skier. The Steinbergkogel bowl is another great playground for expert skiers with a variety of chutes and steep, unpisted terrain, reached via a new 8-passenger chair bringing skiers to the top of the bowl. Pistes like Powder Heaven and Direttissima are aptly named with the right snow. Way up the valley the Bärenbadkogel Peak has plenty of expert drops where anyone with real skill can pick their own way down the mountain. Off the Kitzbühelerhorn, expert skiers can take the Larchenhang (2) then the Horn Standard pistes (6) from the peak with thousands of off-piste possibilities along the way. Gaisberg is more of a practice mountain for intermediates and beginners. Pengelstein is an intermediate peak with short trails dropping to the west and a long piste into Kirchberg. The Kirchberg piste is a good morning sun route. For a long uninterrupted slope try the Niedere Fleckalm, which in the morning is uncrowded and offers a very fast gondola. In the afternoon stick to the Ehrenbachhöhe, which provides a variety of terrain from intermediate to challenging. The Giggling (33), (off Griesalm (23) from the top of the Steinbergkogel bowl) is one of the longest runs and a good way to end the day. At the bottom walk to the bus stop, find a cab or stop in for a drink at one of the bars. 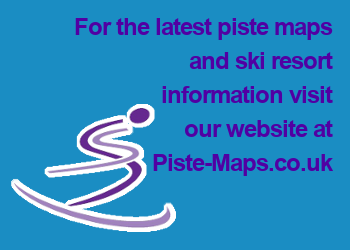 Piste skiing in Kitzbühel and Kirchberg is mostly intermediate with a few blacks, there are enough smooth, cruising pistes for the beginner and lower intermediate to keep harmony in any mixed-skill group. Expert skiers, except those concentrating on their times down the Hahnenkamm or the Gaisberg above Kirchberg, should ski on something more challenging than the prepared pistes. Guides can take serious skiers on off-piste expeditions from Kitzbühel or Kirchberg that will delight even the most hardened experts.